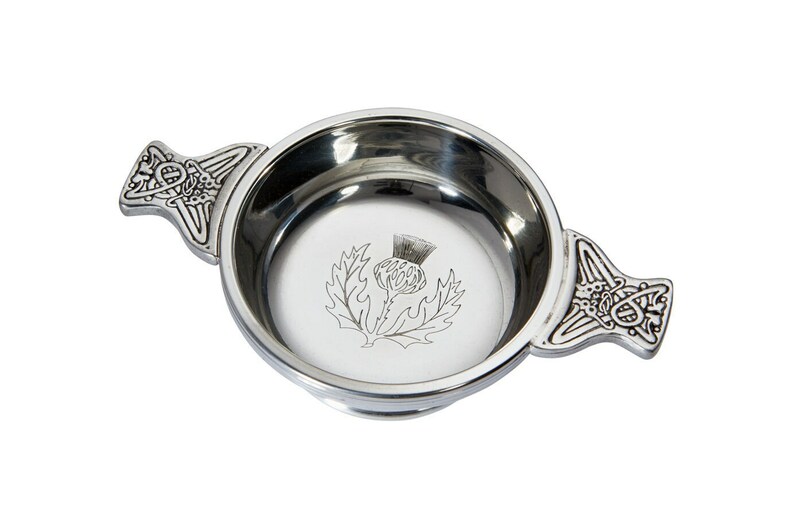 Pewter Quaich bowls with Celtic design handles and engraved Scottish thistle which can be personalised with your own message up to 50 characters on the inside of the bowl. 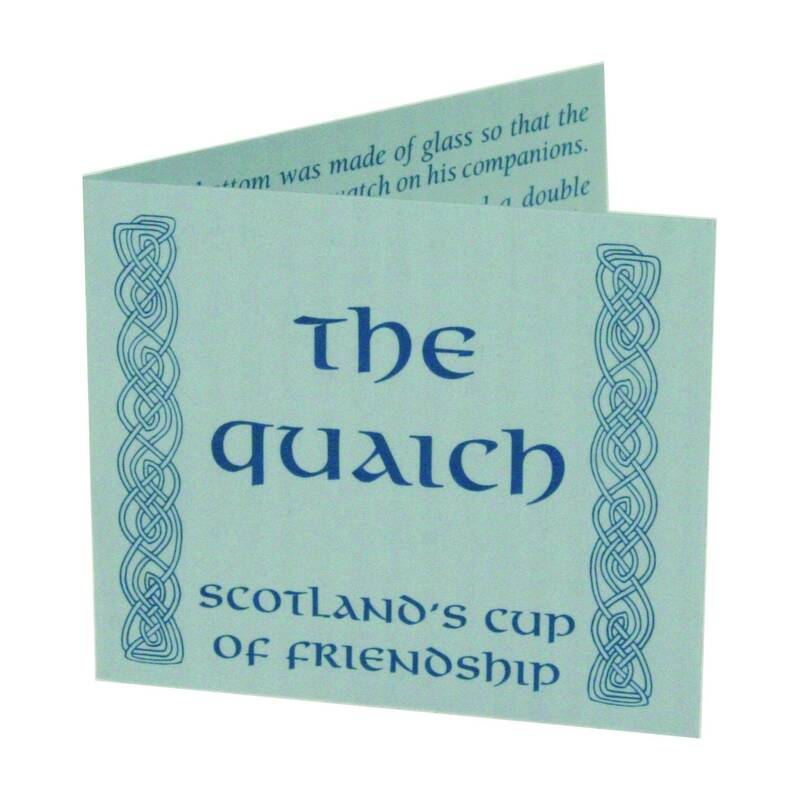 Supplied with quaich story card and presentation box. A symbol of love and kinship, the Quaich is the original whisky cup and one of the most treasured possessions of those with family links and associations with Scotland. It has been used through the centuries to offer a welcoming drink to friends and visitors at gatherings and to toast the bride at weddings. The distinctive two-handed design reflects trust on the part of both giver and receiver. Bonnie Prince Charlie and Sir Walter Scott are just some of the historic figures that have counted a Quaich amongst their prized possessions. Item can be engraved with a message up to 50 characters on the inside of the bowl.